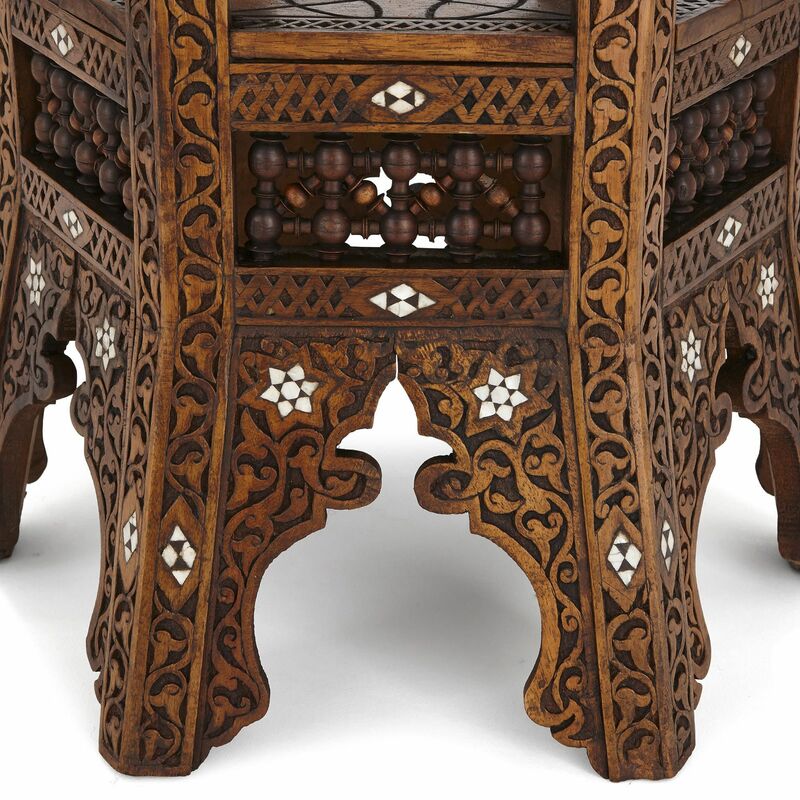 This table is intricately carved with Moorish style motifs, including stylised scrolling foliage, geometric patterns, and mother-of-pearl stars and diamonds. 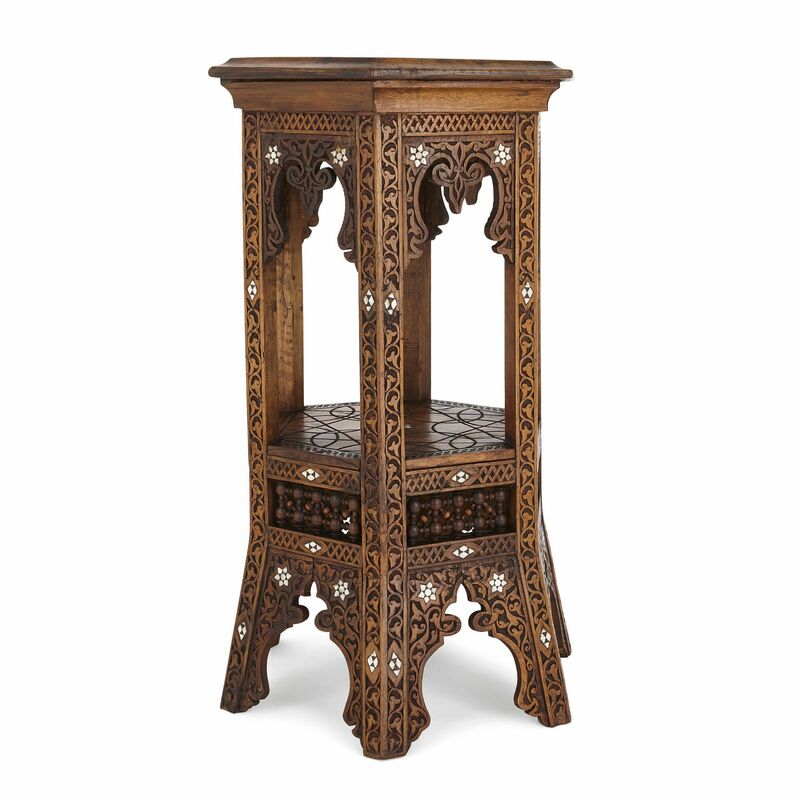 This side table is hexagonal in its shape, and stands on six feet. 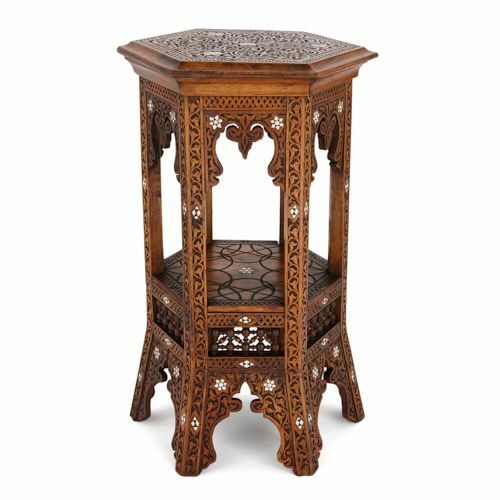 These legs are intricately carved with stylised vegetal motifs, and inlaid with mother-of-pearl six-point stars and diamonds. Negative profiles of domes with three-petalled flower finials decorate the space between the legs. 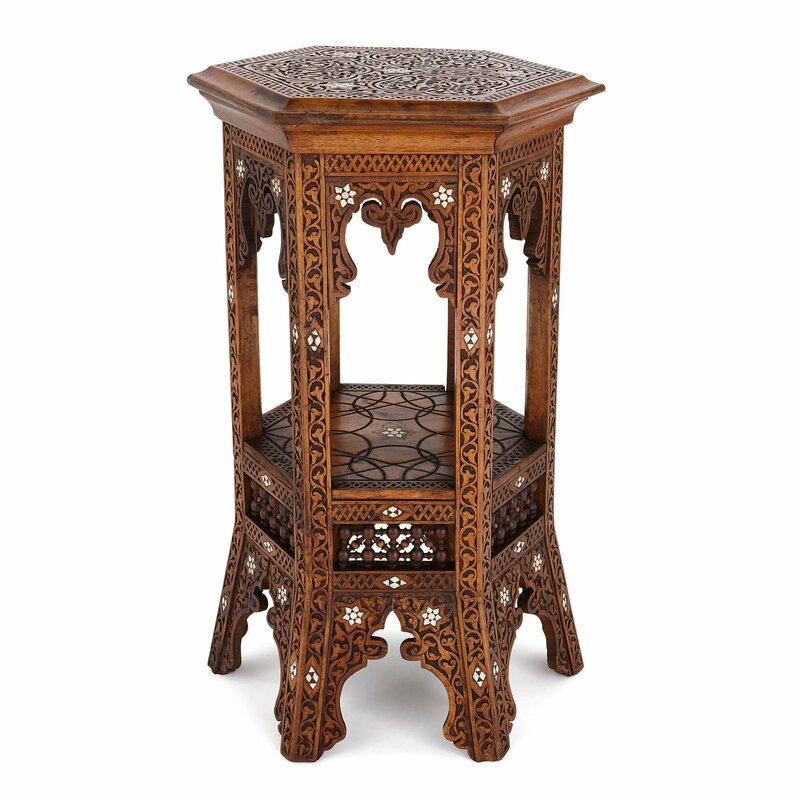 One level above the legs, there is an openwork band of turned spindle forms, which are stained a darker colour than the rest of body. 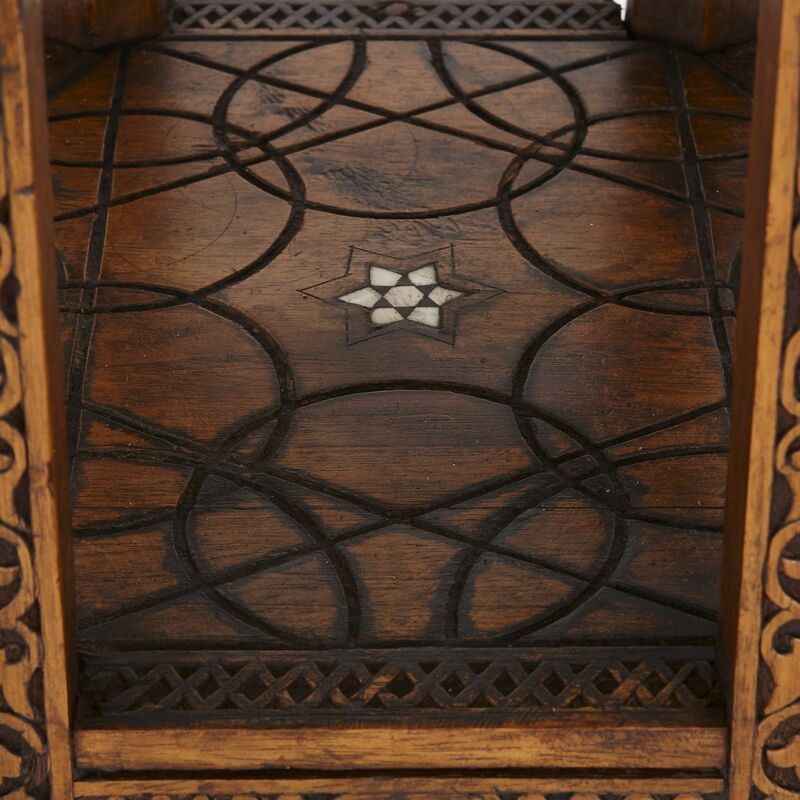 The table features a lower shelf, which is carved with a diaper-work border, and its surface inscribed with circles and geometric motifs, centred by a mother-of-pearl star. The heavily-carved legs continue upwards, with the space between them left open. They are topped by shaped arches, with central flower drop-finials, and spandrels decorated with scrolling vegetal motifs and six-point mother-of-pearl stars. The various levels of the table are articulated by bands of diaper-work. 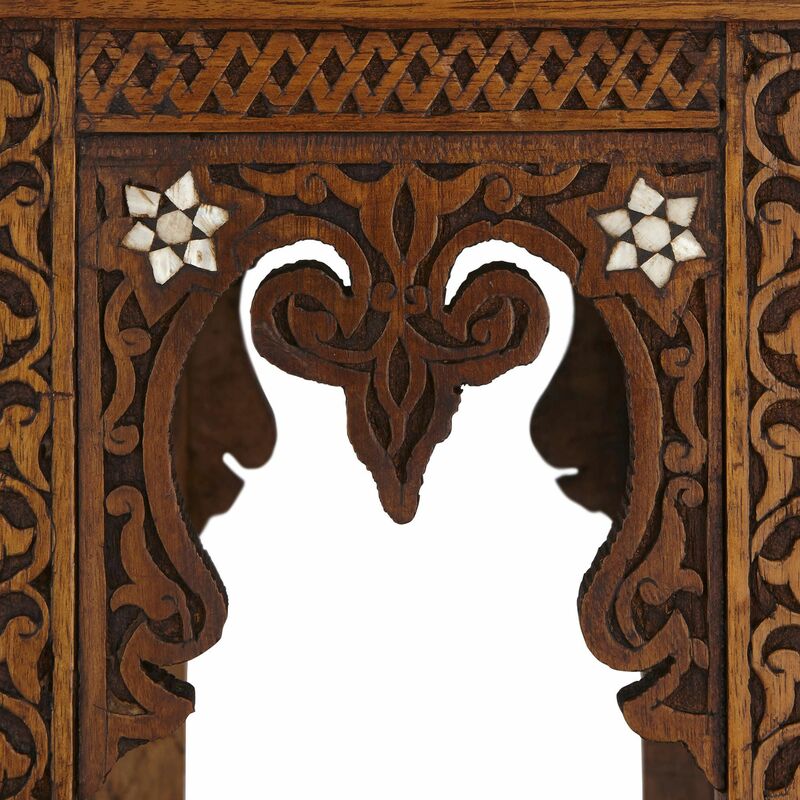 The table supports a hexagonal table top, which is covered with high-relief carvings. These take the form of three four-lobed shapes, which enclose, and are surrounded by, stylised vegetal motifs. 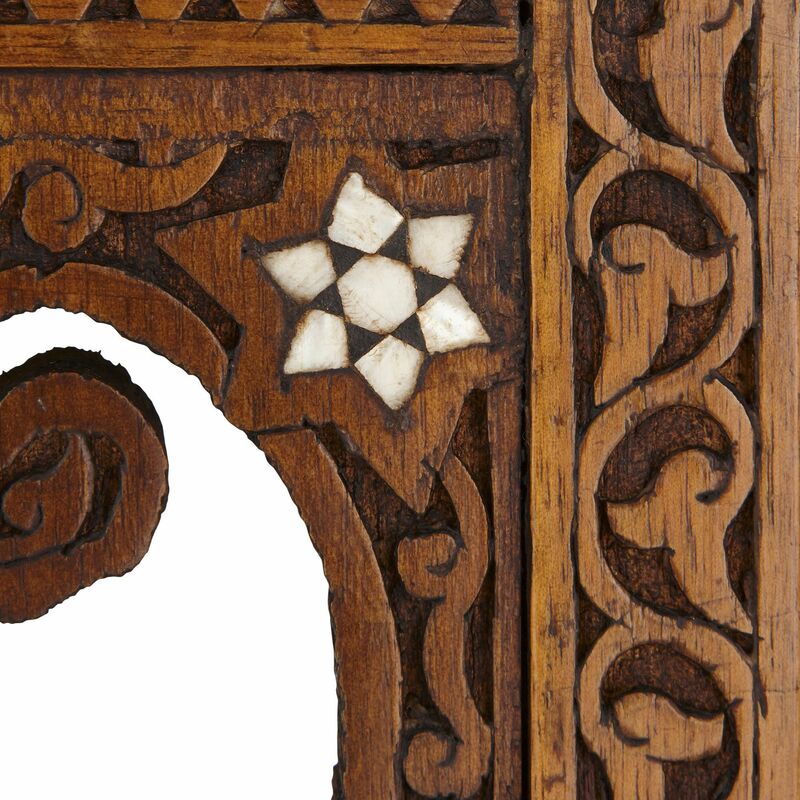 A six-point mother-of-pearl star decorates the centre of the top, accompanied by three more, arranged in a triangular design. The table top carvings are contained within a diaper-work border.